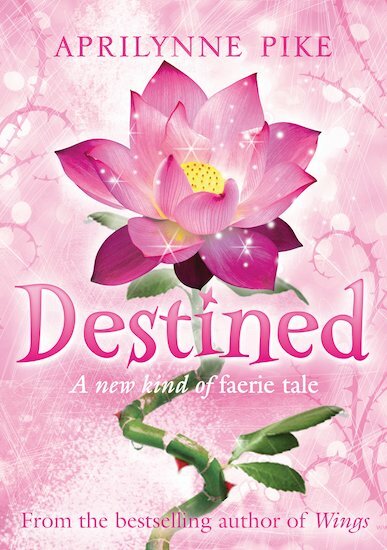 Laurel was once a happy, ordinary girl… until she discovered that she was a faerie. Since then her heart has been divided – Avalon or the human world? Safe, reliable David or wild, charismatic Tamani? But now an enemy unlike any other threatens Avalon. Unless the faerie world can defeat it, there may be no choices left. Now Laurel faces the fight of her life to save everything and everyone she loves. But has her fate already been decided? This final part of the extraordinary faerie tale which began in the bestselling novel Wings is a spellbinding saga of magic and mystery, romance and danger. An incredible, dangerous love story with a brilliant yet slightly predictable plot. i love this book i have read wings and spells i am now waiting for illusions and destined these are the best faerie tale books i have ever read. I loved this book! I rate it five stars after reading the whole series! it tells such a great story that I simply could not put it down!It’s an enchanting world full of spell-binding characters! This book was an amazing finish to the series, although I do think the whole book was too much battle and not so much storyline. Overall this is one of my fave books and I hope everyone likes it as much as me!